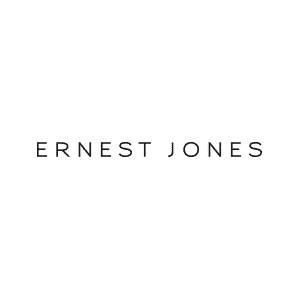 From modest beginnings in 1949, Ernest Jones has grown from a single store in London’s Oxford Street to the highly reputable national chain of over 190 jewellery stores. We’re now firmly established as the UK’s diamond and watch specialist. You’ll find a breathtaking collection of exquisite diamonds, including engagement rings, eternity rings, necklaces, bracelets, earrings and much more. We also have a wide range of wedding rings and jewellery, along with a selection of the world’s finest most prestigious watch brands, such as TAG Heuer, Gucci, Emporio Armani, Rado, Omega, Dreyfuss & Co and Rolex. Ernest Jones sells a large range of quality Swiss and Japanese time pieces, exclusive beautiful quality jewellery ranging from fashion silver and prestigious diamonds to gold and platinum.